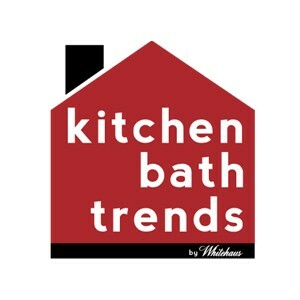 The advantage of a transitional kitchen resides on the style flexibility it offers. You can choose the qualities from a traditional as well as a contemporary kitchen that best fit your lifestyle, and to them, apply you own aesthetic. You can tailor this kitchen style to fir your needs both in functionality and looks. In this transitional kitchen layout, the open space is the main focus, highlighted by the glass doors. 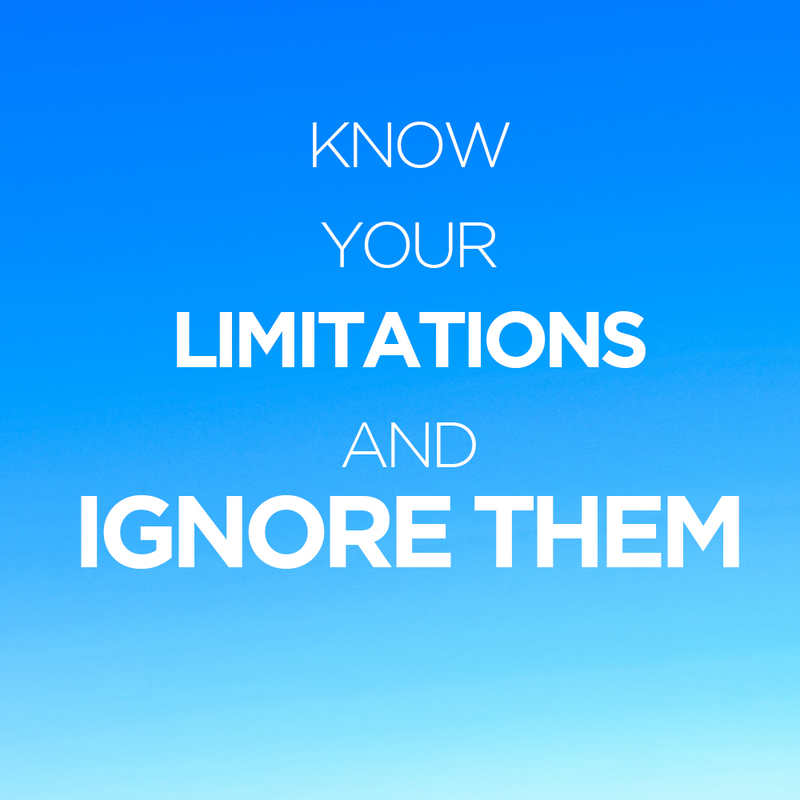 Keeping the appliances and accessories to the minimum is also key. The unexpected combination of the gray tones from the cabinets, countertops and stainless steel refrigerator, get a touch of colorful elegance with the faucet in brass paired with copper light fixtures and cabinet hardware. 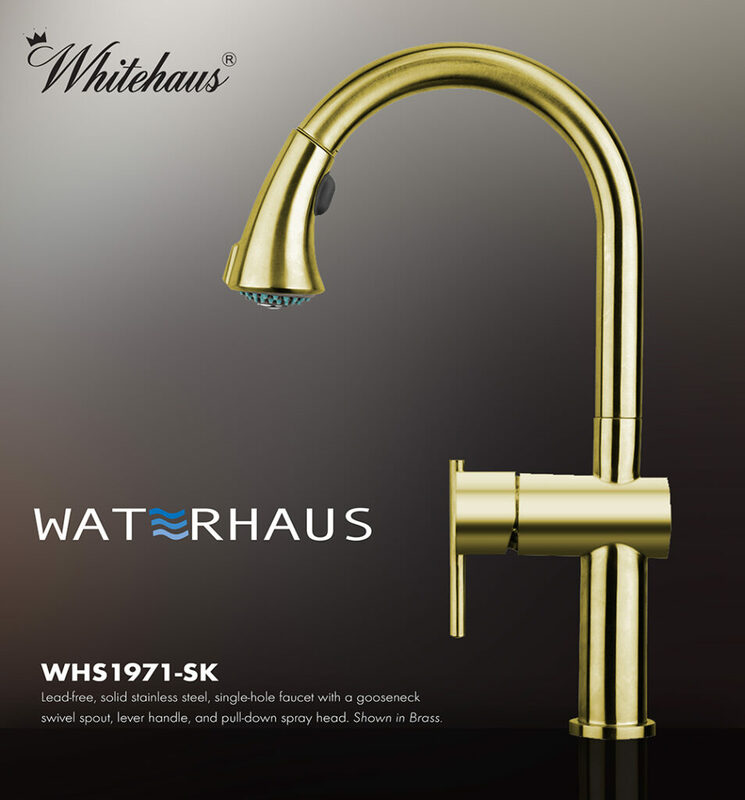 A stunning option for a faucet in brass, is Whitehaus Collection’s WHS1971-SK, from the Waterhaus Collection of kitchen faucets. A solid stainless steel single hole, single lever kitchen faucet with convenient pull down spray head. Built to last, it is lead-free, cUPC and WaterSense compliant. Single hole, single lever stainless steel kitchen faucet, in Brass. Available in the following finishes: Brushed Stainless Steel, Brass, Copper and Gunmetal.